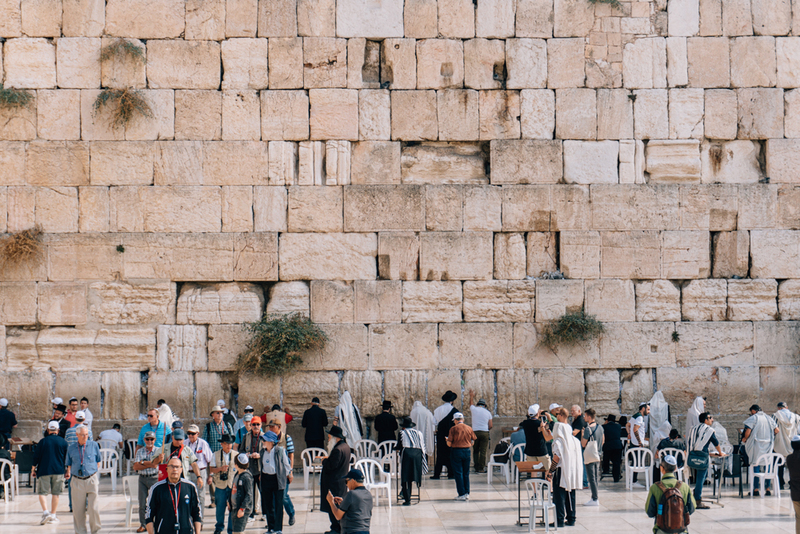 Jerusalem – probably the holiest holy city - is one of the oldest cities in the world. It was settled in the 4th millennium BCE, and has (according to Wikipedia) been destroyed twice, attacked 52 times, besieged 23 times, and captured and recaptured 44 times. Jerusalem is a holy city for all three major Abrahamic religions – religions that all believe God revealed himself to the prophet Abraham. In order of their founding, these major Abrahamic religions are Judaism (7th century BCE), Christianity (1st century CE) and Islam (7th century CE), and the younger two both have some roots in Judaism. Abraham was the receiver of the covenant, is considered the ‘first Jew’, the ‘father of faith’ for Christians, and the ‘friend of Allah’ for Muslims. Abraham means ‘father of many nations’. 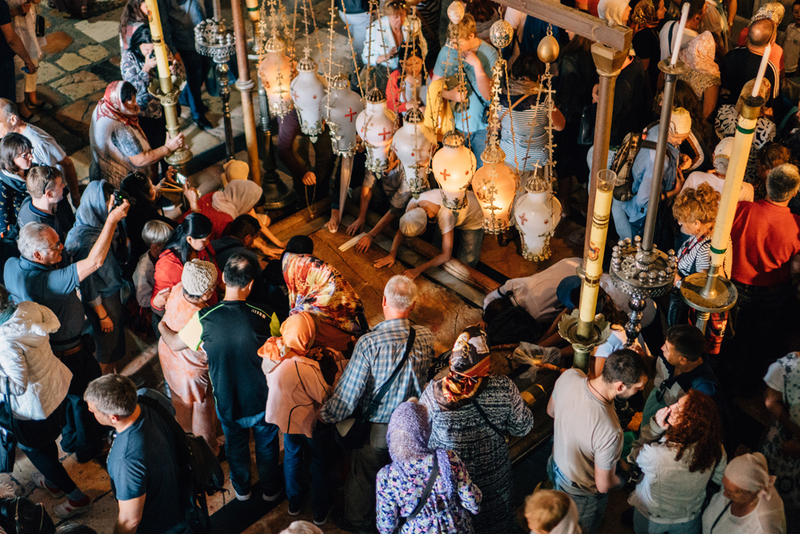 The people of the holy land – and the ancient region beyond - share amazing commonalities in language and food and culture and religion. They are brothers and sisters. The people of these religions share the same god. They share morals and values. They share prophets and patriarchs. They share stories. And yet, what they have never been able to share too well, is space. The walls that define the Old City today were re-built by Suleiman the Magnificent in 1538 (Sulieman was the longest reigning emperor of the Ottoman empire). Despite being only 0.9 square kilometres, the Old City is home to many sites of religious importance for these three religions. 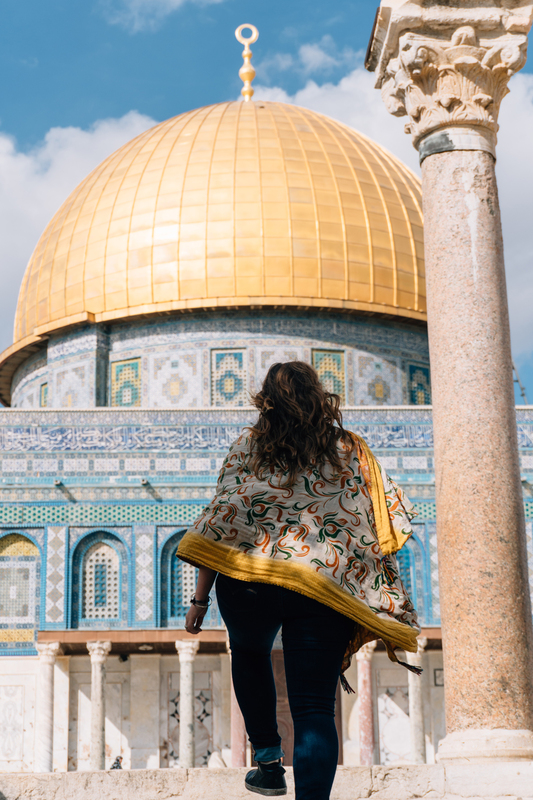 The most significant sites are Temple Mount with the Western Wall, Dome of the Rock and al-Aqsa Mosque, and the Church of the Holy Sepulchre. 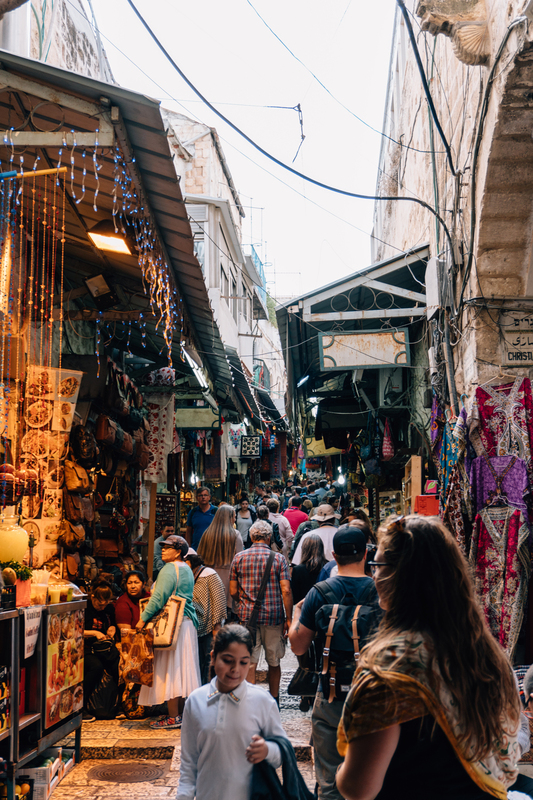 Since the 19th century and still today, the Old City is divided into four unequally sized sections – the Armenian (which is the smallest and the oldest inhabited quarter), Christian, Jewish and Muslim quarters. The Western Wall as it's seen today is just a very small part of what was built by Herod the Great to surround the sacred Temple Mount. Construction started around 19 BCE. The almost rectangular retaining wall was later destroyed by Romans along with the rest of the city around 70CE. 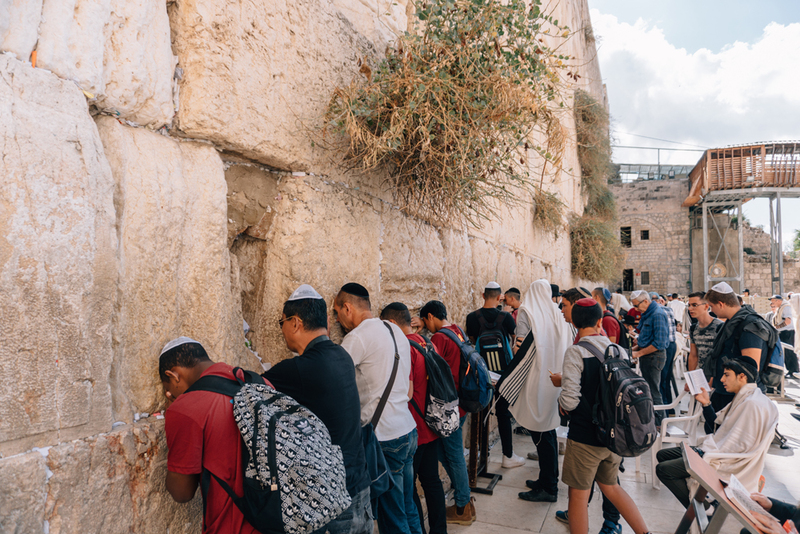 The Western Wall is the holiest place for Jews to pray, but the holiest site itself is the Temple Mount which lies behind it, where the original temple built by Herod stood. Current restrictions on entry mean the wall is the closest Jews can get to Temple Mount. The cracks in the wall are stuffed full of prayers written on paper by worshippers. The courtyard in front of the wall is divided into male and female sections (the male’s is a lot bigger), and people pray and commune at the foot of the wall at all times of the day. Haram esh-Sharif/Temple Mount is a sacred place for Muslims, Jews and Christians. It is the place where their shared patriarch and prophet, Abraham, attempted to sacrifice his son, Isaac, as well as where Mohammed ascended to heaven. Qubbat al-Sakhrah (Dome of the Rock) is the stunning Islamic shrine on Haram esh-Sharif (Temple Mount). Originally built in 691 CE, the current shrine was rebuilt in 1022-23 after the original collapsed. This is the third holiest site for Muslims to pray, after Mecca and Medina. After his night time journey on from Mecca to Jerusalem, Mohammed tied his heavenly steed, al-Buraq, to the western wall before climbing Haram esh-Sharif. Mohammed then began his ascension to paradise, from the rock that still lies in the centre of the Qubbat al-Sakhrah shrine. 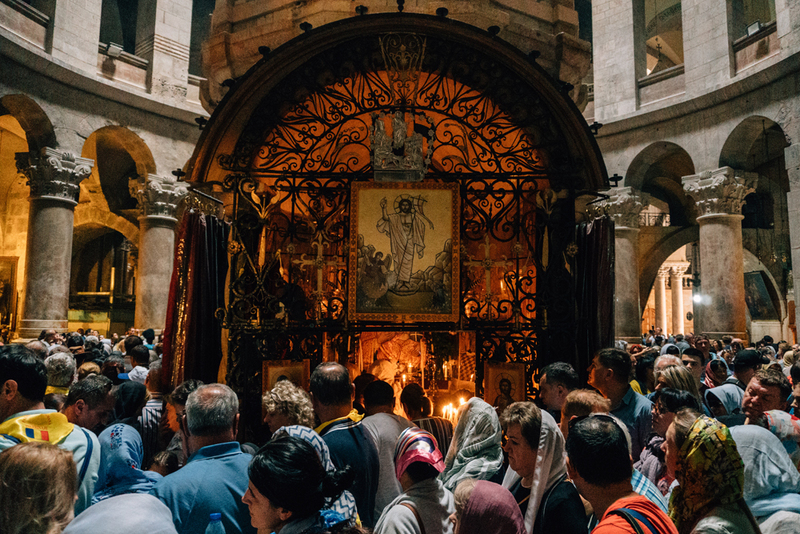 Most Christians believe the Church of the Holy Sepulchre contains two of the holiest sites in Christianity. Firstly, Golgotha (meaning ‘place of the skull’), a site also known as Calvary. This is where Jesus of Nazareth was crucified. 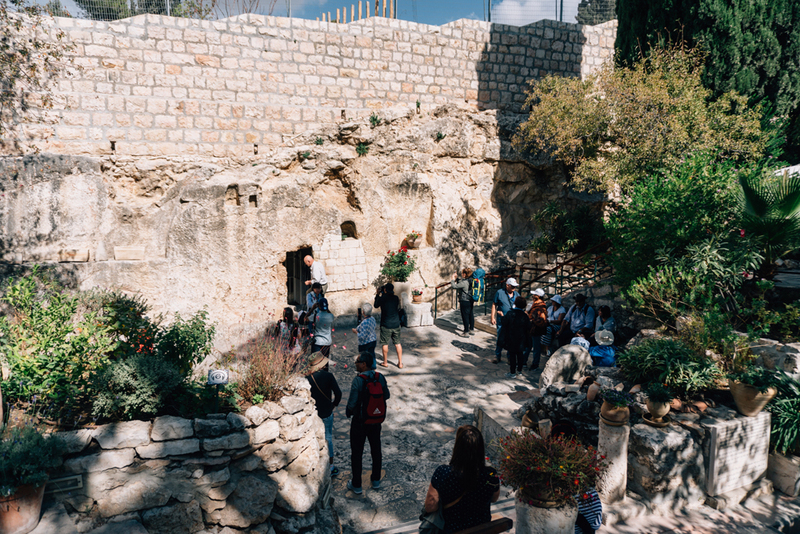 Secondly, the temple holds the empty tomb in which Jesus was buried and from where he was resurrected three days later. In the 2nd century CE, the Roman Emperor Hadrian had a temple for Venus built over this site to hide the cave in which Jesus had been buried. The location of Golgotha derives from the identification of the site by Helena, the mother of the first Christian emperor, Constantine the Great. Here she found the tomb and discovered the remnants of the True Cross (there is still a relic in the Church today). Constantine ordered that the Roman temple be replaced by a church around 325-6CE. These accounts date back at least to the 4th century. 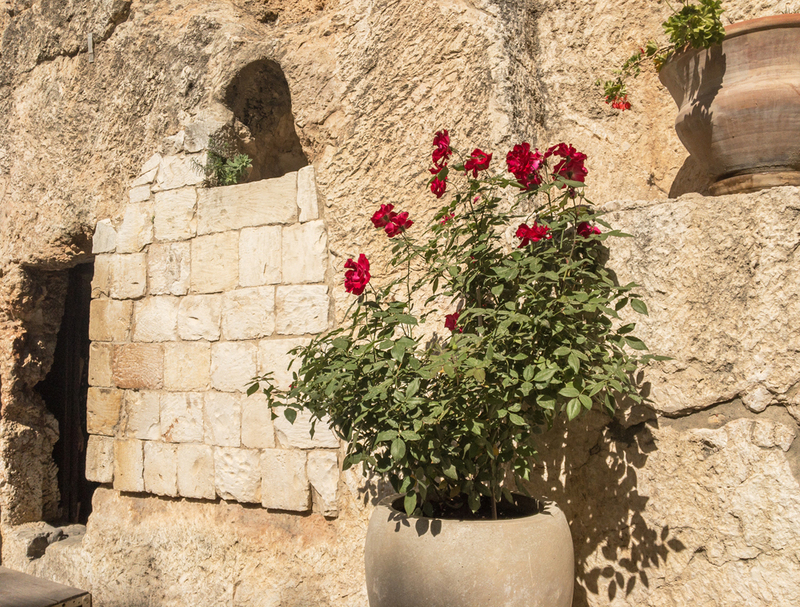 Despite the existence of the Church of the Holy Sepulchre, The Garden Tomb is considered by some Christians to be the site of Jesus’ burial and resurrection. I found the argument too flimsy, but it’s a beautiful, quiet place just outside the walls of the Old City, and whether people believe this to be the true site of Jesus’ resurrection or not, it serves as a place for Christians to contemplate Christ’s sacrifice and his story. The garden is a lot more peaceful and contemplative than the frenetic energy inside the church and when we visited, there was a church group sitting in the garden singing gospel. It brought the place to life. Gethsemane, the beautiful, man-made garden of ancient olive trees, was high on my list for Jerusalem. I’m not really sure why, but I think it’s because I think the word gethsemane is beautiful (I found out it means ‘oil press’). I also think it’s because Giotto’s moving Kiss of Judas is so vividly burnt into my brain from my earliest Art History lessons. 2000 years ago there was a man called Jesus who hung out and prayed here with his friends, a stones throw away from the city walls. Following the last supper, where Jesus informed his disciples that he knew one of them would betray him, he came to the garden of gethsemane with Peter, John and James. He prayed in anguish and sadness to God to give him strength, knowing the time of his betrayal had come. 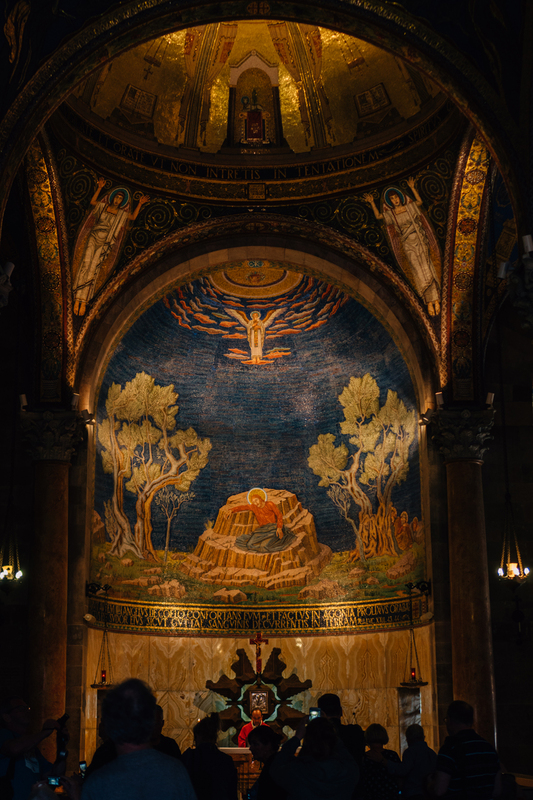 The Church of all Nations (also known as the Basilica of the Agony) is next to the garden of Gethsemane. 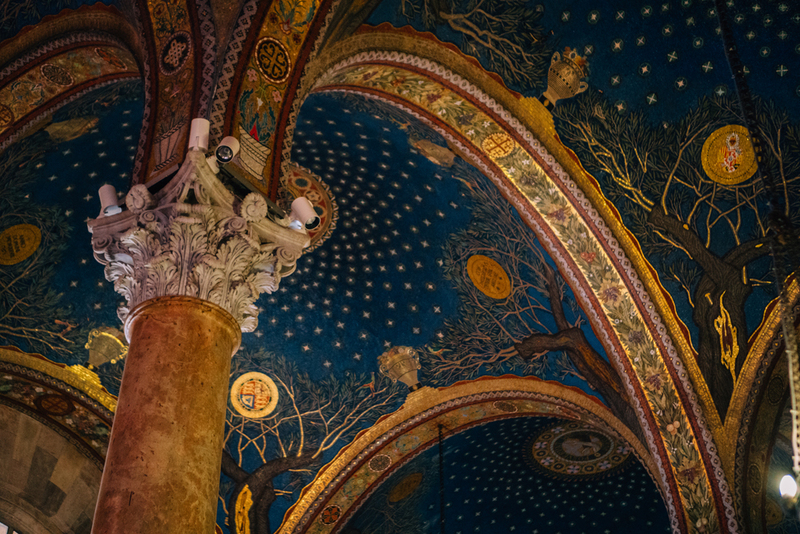 Within the beautiful church is enshrined the piece of bedrock from the garden, upon which Jesus prayed on the night of his ‘agony in the garden’. The next day, in the grotto near the current garden, which was often used by Jesus and his disciples for prayer, Judas betrayed Jesus to Pontius Pilate with a kiss. And from there, the events of the Passion would lead to the crucifixion of Jesus of Nazareth. Several of the olive trees in the garden are the oldest known to science and have been dated at nearly 1000 years old, though they could be a lot older. The insides of the oldest trees are hollow, with the oldest wood missing. The three threes that could be dated also come from the same parent plant, which could indicate an attempt to keep a lineage of an older species intact. It’s not conclusive whether these could be the same olive trees that sheltered Jesus and his disciples on this night, but it’s not impossible and hasn’t been ruled out.